One in five Americans experiences a mental illness. Stop for a moment and look around; chances are that someone next to you (or maybe you yourself) struggles with mental illness. On October 10, countries around the world will stand in unity to recognize mental illness. 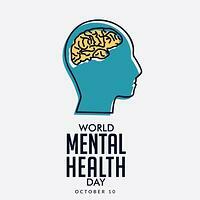 World Mental Health Day is designed to educate and bring awareness to different forms of mental illness. Why Does Mental Health Day Matter? 50% of all chronic mental illnesses begin at the age of 14. 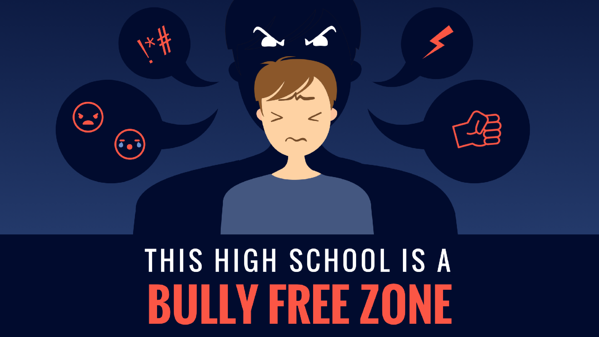 Bullying, which can impact mental illness, is a growing issue in schools across the country. 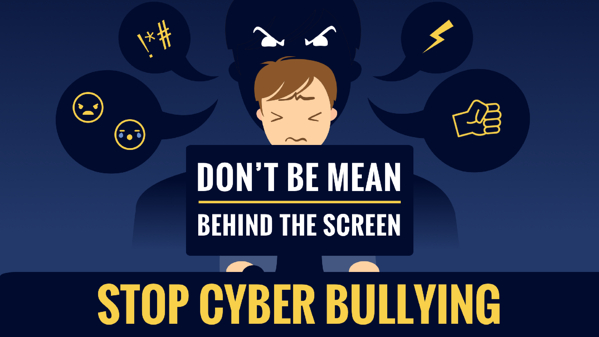 More than 70% of students say they have been the victims of bullying. 4 out of 5 students who attempt suicide have provided clear warning signs. Students need to hear and know there is help. What Can Your School Do For Mental Health Day? We have created an article you can share with your faculty and staff that outlines several activities you can do both at your school and in your classroom. Mental Health First Aid International has created a first aid action plan (see / download image below). Finally, our creative team has produced several mental health templates that you can edit and schedule on your displays. 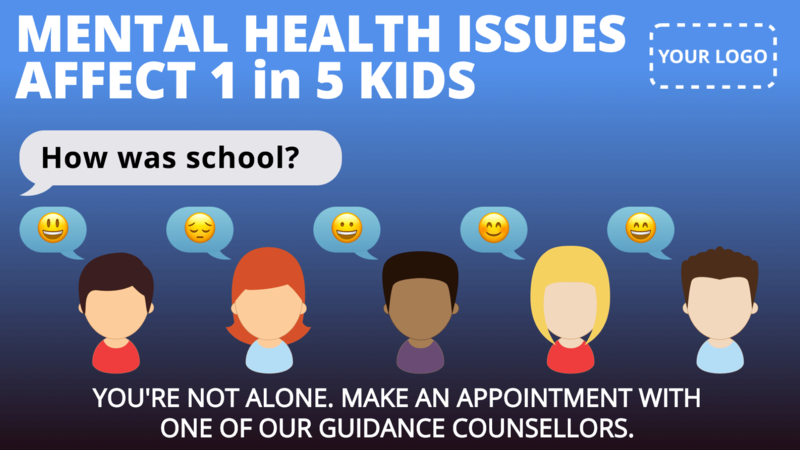 They are ideal for K12 schools looking for creative ways to promote mental health. The templates complement your elementary or high school digital signage. They call attention to mental health statistics and create a call to action for students who need help. You can see them below. If you aren’t sure how templates work, check out this article that will get you started in less than five minutes.